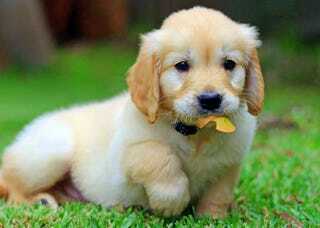 Now, I love Golden Retrievers more than any other breed; I grew up with one, and I've had 3 over the course of my life. They are very, very smart, but this one ... well ... this is an obedience trial from Finland (I believe), with kids and their dogs. All that the dogs have to do is make it down a short run, to their owners, without being distracted.